©Barry Sandland/TIMB – Family photo of the biking entourage just back from the weekend escapade. Photographer’s notes: This is my first group photo, the first family shot, and it took a different approach. If I had stopped the mother somewhere on the route, there would have been three bikes, one extended, on the side of the road. So, it was a steady, distant follow until they came to a safe stop. There are a few of these convoys in Brussels. I see them often. Entourages of bikes heading to and from school. Children start early here and can stay on the sidewalk in their early years. Then they become ducklings for a while on the roads. 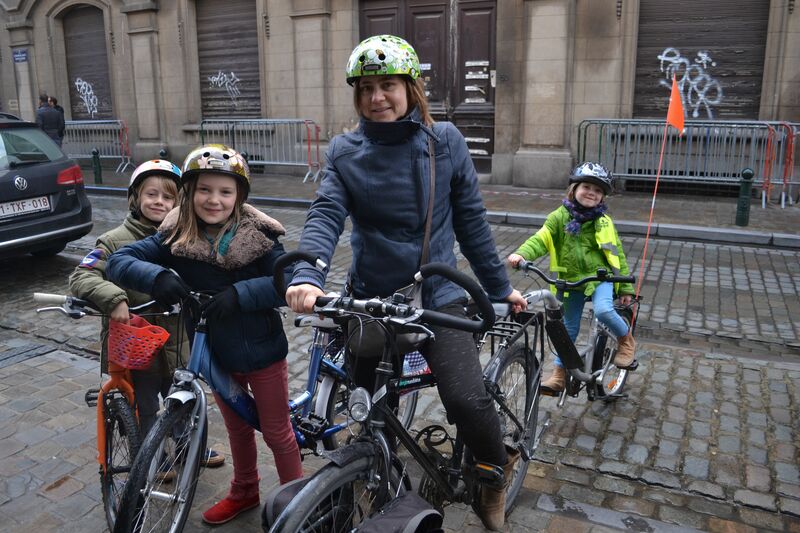 This entry was posted in commuter, Europe, family, kids on bikes and tagged 2015, January. Bookmark the permalink.